In The West Wing, Martin Sheen's President Jed Bartlet consoles Toby Ziegler, after a shooting that killed several and wounded the President himself. Toby asks the President for some time off to get over the incident: "I'm not sure I can come out of the other side of this." A sympathetic ear, Bartlet tells Toby "That's no problem. Not a problem at all. You have fifteen minutes. It's time to get up off the mat." This was a point of national emergency where service to the nation came first. 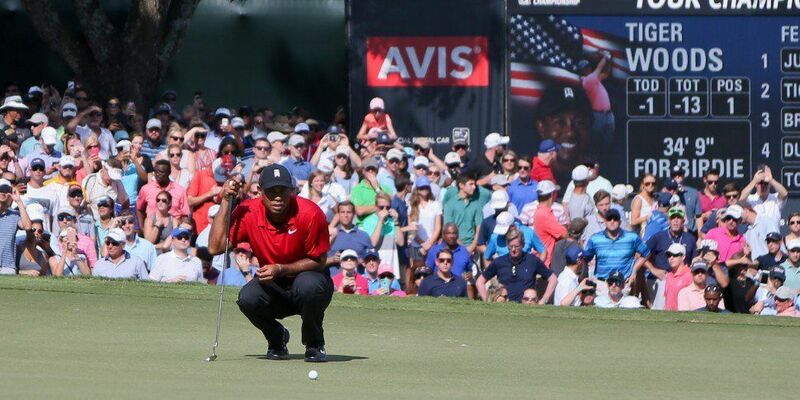 Tiger Woods coursed toward the 18th flag at East Lake this Sunday. This was a man rising from the mat in inimitable fashion; the crowd hitting a pitch the likes of which he could only dream. Tiger's tale is almost perfectly American in its components. He is an individual of hard work and high-minded vision. He was something of a north star to those within and without his sport as to what graft and talent can achieve; with capacities for determination and clear-mindedness in the most taxing situations. They have made the man almost mythical in sporting terms, and where his fall from grace was destined to be faster and harder than almost all. Woods' life has always been one of extremes. The most incredible golfer of his generation, and arguably of any. His physical and mental preparation involved training with Navy SEALs, where he was brought to the 'Kill Room' and shown how to 'clear' rooms of enemy combatants. But it was an internal foe which caused his initial downfall. While there is a legitimate argument to be made for the separation of one's professional and private lives, the extent of Woods' philandering ensured that this was impossible. Perversely, he was prodigious even in adultery. This was someone who could not tap the brakes, and collision was inevitable. As more women spoke of how they and Tiger conspired to deceive; the tangled web seemed to write the closing chapter for a sporting icon. But the comeback is in the DNA of the American republic. To fail and to redeem - all off the sweat of your own brow - is the emotional domestic product of the USA. It is easy to sneer, but such republican ideals allow for human imperfection - even prizing it - and the collective will of America has led to discovery and advances in almost every field one can imagine. Dust yourself off. Get up off the mat. Because when you do, the reward will be all the sweeter. Any viewer was party to that reward yesterday evening. The crowds that surrounded Tiger at the last yesterday were the perfect orchestral accompaniment to a man who has flown higher than most, and known - and caused - the lows in his story. He is an American icon: imperfect but indomitable.